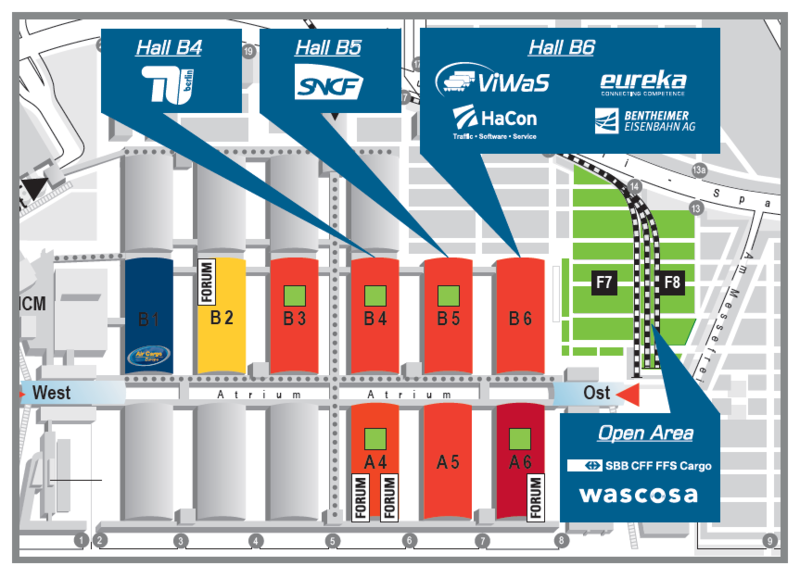 From 5 – 8 May, Munich is the destination for the logistics industry. More than 50,000 visitors are expected at Transport Logistic 2015. Consequently, ViWaS partners show their products and innovations, too. HaCon (B6.129) presents further consulting activities with EU projects such as SPIDER PLUS and showcase IT solutions in freight transport like ITEC (Intermodal Terminal Eco-Efficiency Calculator). In addition, the latest developments for the Train Planning System TPS and the timetable information system HAFAS will be displayed. Eureka (B6.125) shows their latest telematics products. Information about telematics innovations realised within ViWaS will be given as well as a thorough overview on the entire aJour® telematics family. SBB Cargo (FGL.804/1) focuses on the service entry of the Gotthard tunnel. As part of the joint “SwissMovers” presentation, SBB Cargo emphasizes the positive effects on rail logistics through the new tunnel. 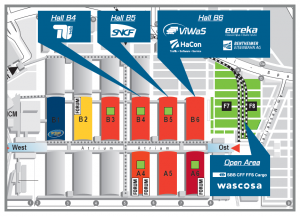 Wascosa (704/6 and track 3/3) will present the company’s latest rolling stock developments to improve rail-freight efficiency and reduced noise emissions. Fret SNCF (B5.303/402) will give an overview of the company’s various logistics services across Europe. Bentheimer Eisenbahn (B6.401) will display the company’s logistics portfolio as part of a joint stand of VDV, the “Association of German Transport Companies”. 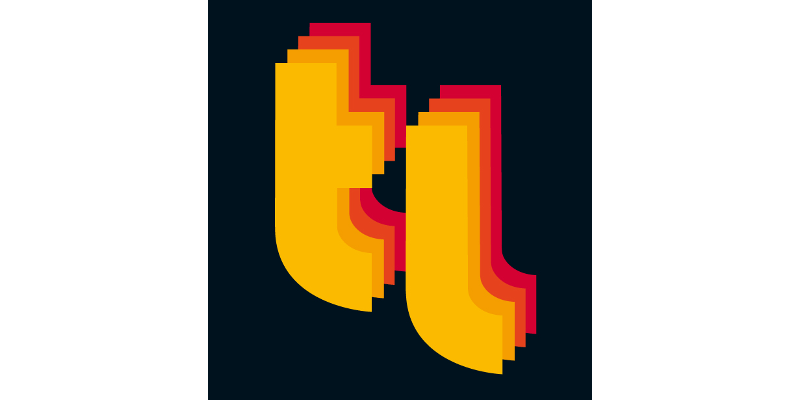 TU Berlin (B4.430) will present their current R&D activities.